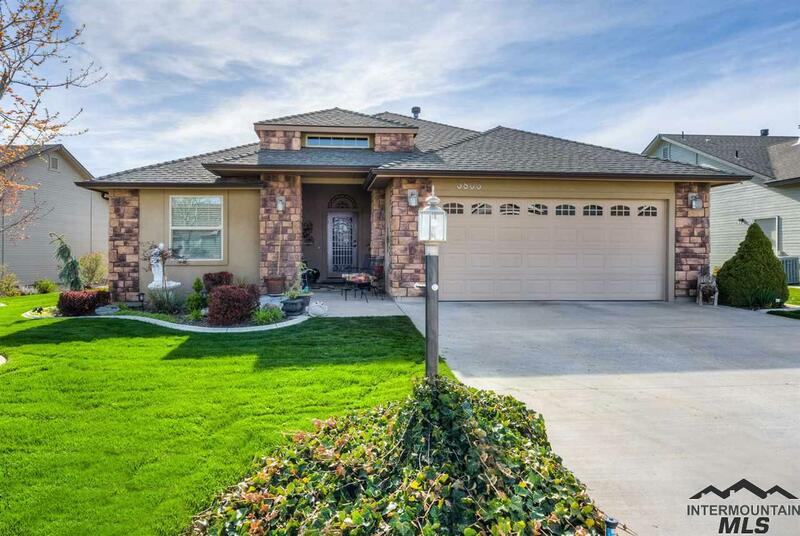 All Greenbriar Estates homes currently listed for sale in Nampa as of 04/21/2019 are shown below. You can change the search criteria at any time by pressing the 'Change Search' button below. "Gorgeous single level home in a gated 55+ community. Beautifully refinished hardwood floors throughout kitchen, great room, and dining areas. Warm and inviting great room with gas fireplace and vaulted ceiling. Kitchen features tiled countertops, pantry, and new black stainless appliances. Enjoy the oversized master bedroom and en suite bath with soaking tub, step-in shower, and large walk-in closet. Thoughtfully designed, and perfectly maintained landscape completes this lovely home." "Granite counter tops in kitchen, laminate in bathrooms, custom cabinets, extra tall uppers in kitchen, covered patio, hardwood flooring entry, kitchen, dining & traffic flow areas. Fully landscaped, upgraded mill work, cabinets in laundry vs. shelving, upgraded carpets, tiled master shower, satin nickel finishes, upgraded tile back splashes in kitchen and baths, insulated garages, extensive use of stone on front of home, 9Ft. ceilings throughout. East facing backyard."